Exams are odd things and affect people differently, I have known several incredibly intelligent people who just don't do well in the exam situation. Yet exams are a part of life for the average Salesforce professional and it is definitely better to go into the test centre feeling prepared. At the time of writing I have six Salesforce certifications. Several were achieved in the last year and I feel that I have developed a technique and approach in this time, which I will now share. Which certification should I tackle next? When will I be ready to sit the exam? Where should I take it? How should I tackle the exam? 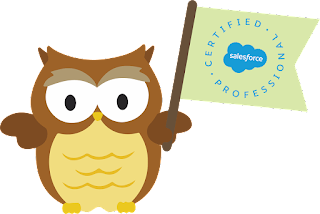 Here in 2018 there are 25 different Salesforce certifications, grouped into 6 different roles and tracks. Whereas it used to be obvious which cert to go for next based on whether you were an Admin, Developer, or Consultant, now we have more options and I regularly see posts on the Community asking which said person should take next. There is no right or wrong answer, my six certs come from four of the above tracks. I recommend you look at which certifications fit in with your current role but also your career goals. 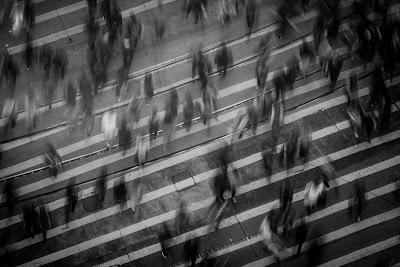 If you would like to move into consultancy then the consultants track is an obvious choice but consolidating your knowledge with Advanced Administrator is always good option in my book as it demonstrates an advanced knowledge of the declarative. Earlier than you think. I recommend biting the bullet and booking your exam and then scheduling concentrated revision time. Experience of the platform is key so if you have that then your study should be manageable. If you wait until you feel 'ready' you are sure to delay and not push yourself. Give yourself a deadline to focus your preparation. I live in London and have several exam centres in the city so I always take my exams in person but I understand that being able to take them at home is more convenient for some. Look at your own situation and practical options. The first thing I do is go to http://certification.salesforce.com/credentialoverview and download the exam guide. I read through all the information, taking note of the time allocation, the number of questions, and the pass mark. Next I open my Google Drive account and create a new folder for this certification revision. I refer to the exam guide and create a document for each of the subject areas listed in the Exam Outline section. As you can see in the screen shot below I number/order the documents by weighting and add the % and the number of questions that equates to (which I calculate). I then copy the text from the exam outline section into the document for each area. I read through the outline for each section and highlight the topics I feel are my weakest and strike-through any I decide I have covered. This will rarely happen on day one but I update the list as I study. I refer to the study guide and collate a list of the resources it recommends and add the links or shorter sections of text onto the relevant document. I screen-shot key slides from online training, documentation, and community resources, to use to keep these fresh in my mind. These docs form my 'revision'. I normally read through my Google Docs as I travel on the tube to the testing centre, but once I arrive I focus on making sure that I am comfortable. I visit the ladies, have a good drink of water, apply lip balm, and stick a tissue up my sleeve! Once I am sat at my workstation I take the provided sheet of A4 paper, I divide the top half into three columns and label them A B C.
When I am ready I start the test and work through the questions, reading each one very carefully. After I settle on my answer for the question I make a dash ( | ) in column A, B, or C.
A = I am confident that this answer is correct. B = I have made an educated guess. C = I have guessed pure and simple. I use the 'mark for review' tick box each time I know that this question deserves another look, or is a B/C, I also jot down the numbers of the questions I particularly want to review, assuming I have enough time. As I work through the questions I regularly (probably too often) glance at my ABCs and quickly calculate if I am on track for a pass. This is where knowing the pass mark and how many correct answers this equates to is essential. If the stats look favourable then this gives me a real boost, if they don't I try to double down and concentrate. Once I have reached the last question I complete a final count of my ABCs and see if this indicates a pass or not. I then use the review feature and go back over the questions starred, particularly my Bs. My educated guesses are normally the questions that will best benefit from a second read through as I am confident in my As and figure that the Cs are going to come down to pot luck. Once I am finally happy, I hold my breath and press Submit. If it's a Pass then smiles all round and time to celebrate. If you see a Fail on the screen then don't despair, book another attempt as soon as possible, while the subject matter is still fresh in your mind. Use the section level feedback you will receive by email to tell you where to focus your revision and attention. You are ten times more likely to pass this time. 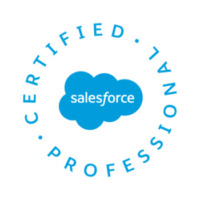 This is how I approach Salesforce certifications, if the same approach helps others then I look forward to reading about more passes on the Trailblazer Community. They say hindsight is a wonderful thing and they are right, we can't go back and do over, but we can share what we have learnt and allow others to benefit from our experiences. This was my approach to the session I presented at the Admin Theatre at this year's London World Tour. My talk was entitled Best Practices and Recommendations for New Salesforce Admins. The role of Salesforce Admin brings with it a lot of responsibility, but thankfully also all the tools and support to enable each of us to be successful. When we start our Salesforce journey, however, we don't come with all this knowledge fully formed so here are my recommendations and tools to help everyone make the most of the available (#Safe Harbor) features. For ease I am splitting my tips up into Best Practices, Recommendations, and Tools, and then into Setup, Reporting, and Productivity. This post (part one) covers Setup Best Practices. I'll shortly be starting the long journey from London to San Francisco for my 4th Dreamforce and I'm getting my ducks in a row (and packing a large suitcase). I think it is safe to say that my three past Dreamforces have been quite different. I wrote about year one in my post Solo in San Francisco and Dazed at Dreamforce, I was extremely overwhelmed and found the whole experience too much. Year two as captured in Dreamforce: My Second Attempt, was still a challenge but I knew what to expect and had more contacts to share the experience with. Last year was on a different scale and was all about spending time with people and event after event after event, with quite a few highlights as I wrote about in My DF17 Highlights.